Register Early for Chance to Win! Register for the conference and make your hotel reservation at the Sheraton San Diego Hotel and Marina on or before August 27, 2018, and you will be entered into the drawing for a chance to win one complimentary hotel night with breakfast. The winner will be chosen and notified by September 10, 2018. Don’t miss your opportunity to win this fantastic prize, compliments of the Sheraton San Diego Hotel and Marina. Main conference registrants will receive an additional 5 FREE contact hours! 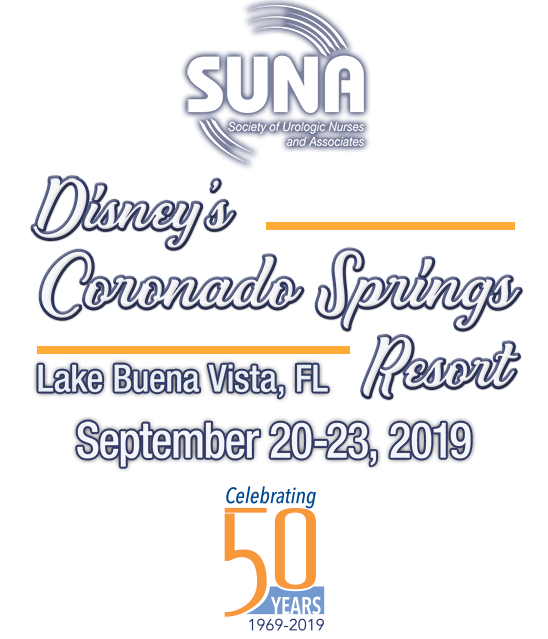 Attendees will have approximately 4 weeks to complete the evaluations in the SUNA Online Library and receive contact hours for conference sessions they attend on site. After the evaluation deadline, main conference registrants will receive instructions on how to earn an additional 5 FREE contact hours! Celebrate Education, Connection and Commitment with your urology colleagues from across the nation at the 2018 uroLogic Conference! By attending the uroLogic Conference, participants will enhance their practice through implementation of newly acquired evidence-based information. Copyright ©2018, Society of Urologic Nurses and Associates (SUNA). No materials, including graphics, may be reused, modified, or reproduced without written permission.